Cattaneo Commercial have just secured a letting of this self contained newly refurbished office suite to Pharmacentre Ltd. The premises comprise 515 sq ft on the ground floor of this popular modern development. 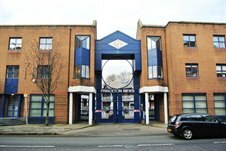 We currently have other offices available within Princeton Mews, a gated development off London Road. For further information please contact David Keates on 020 8546 2166.